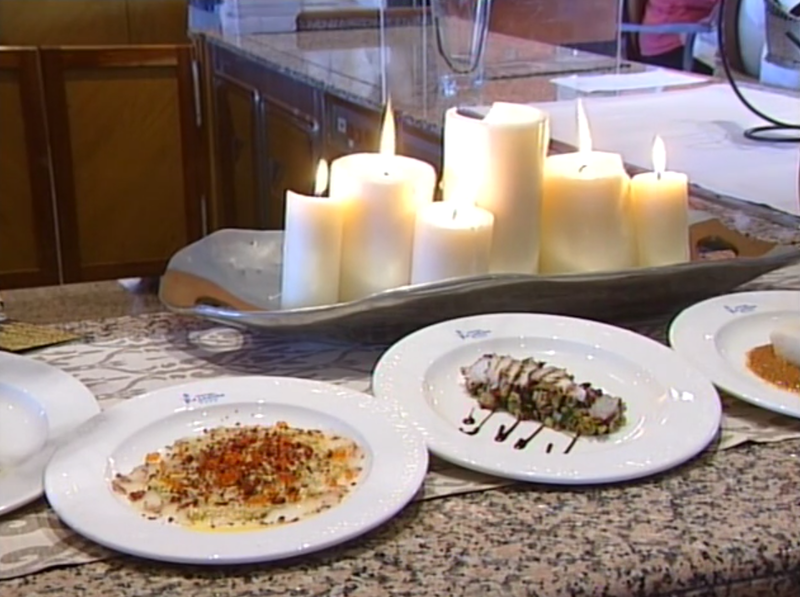 During the last week took place Rojales Gastronomic Days 2015 at La Laguna Restaurant. This celebration was last Friday at La Laguna Restaurant with a menú emphasizes by they creativity which suprised us with a variety of original dishes as you can see in the next videothat shows a summary of this gastronomic event. The VII Rojales Gastronomic Days was celebrated at La Laguna Restaurant with exclusive dishes prepared by our chef Dori Chazarra with a main courses like “Chips Rellenas de Boquerones Encurtidos above “Tapena de Aceitunas Verdes”, “Carpaccio de Langostinos and Alcachofas” or “Taboulé de Pulpo”.